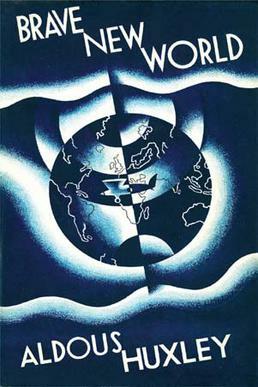 I have always loved Dystopia novels, but I never read Aldous Huxley’s Brave New World. I finally got to reading it an wasn’t impressed. I give Brave New World by Aldous Huxley three out of five hearts because it was not for me. There is little character development and the writing felt like Foundation by Isaac Asimov, which I didn’t like. I do think the story itself is good. It starts out looking like this Utopia, but to the main character, it feels too confined. Huxley’s writing is clear and well thought out. He doesn’t info dump but uses a tour to students around the facility to explain important aspects of the world. It was great. The end was also great and made me think of how it is in the world today. In that way it did live up to the ‘hype’, there is not much hype around this book, but people do say it’s a thoughtful book, which is true. What I didn’t like is the impassioned way it is told. It feels more like a someone quickly narrating the story instead of the experience of someone, which kept me very far from caring about the world and the characters. Overall I think it is an okay story, but don’t expect to care about anything. I know some people like this way of writing, but I don’t. So if you like Isaac Asimov’s writing, go ahead, this is a book for you. This entry was posted in Book Review and tagged Adventure, Aldous Huxley, Book Review, Drama, Dystopia, Mystery. Bookmark the permalink.